As a leading provider of electrical contracting, we take pride in offering the best services available while using top of the line products. We are dedicated to serving the needs of our customers each and every day. 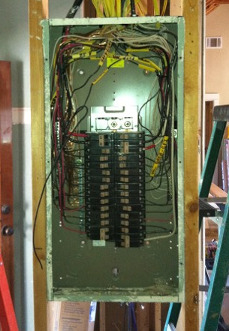 Source Electric is licensed,insured, and has the knowledge and skill to complete any electrical project. We service commercial and residential needs, whether it is new construction or renovations to an existing structure. With over twelve years of experience and completing many projects which include: custom home wiring, landscape lighting, service upgrades, electrical trouble shooting, solar energy grid ties, electrical back up systems, plus much more! We want to provide affordable options for all your electrical needs.